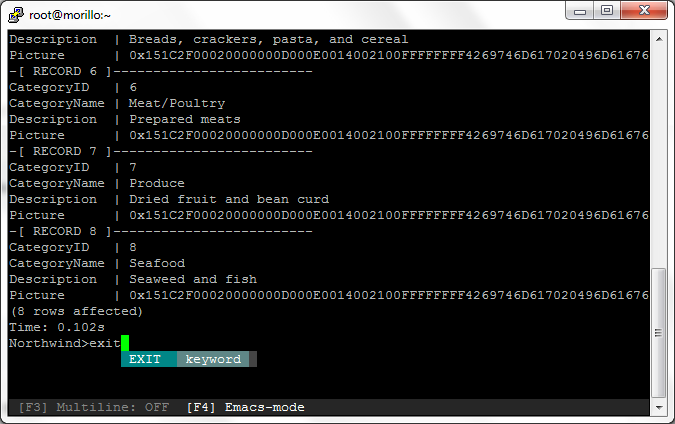 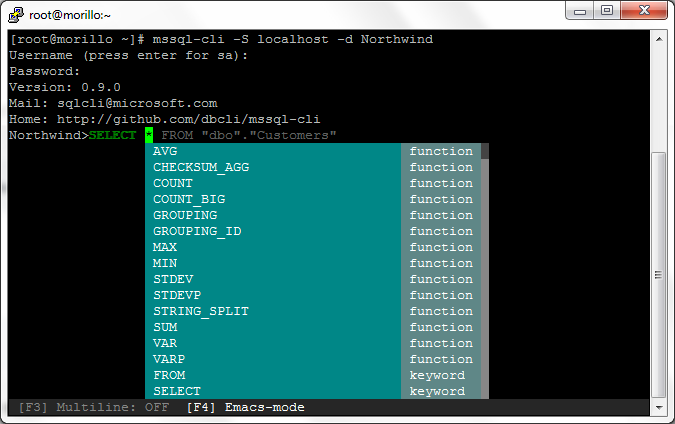 mssql-cli query tool for SQL Server on Linux. 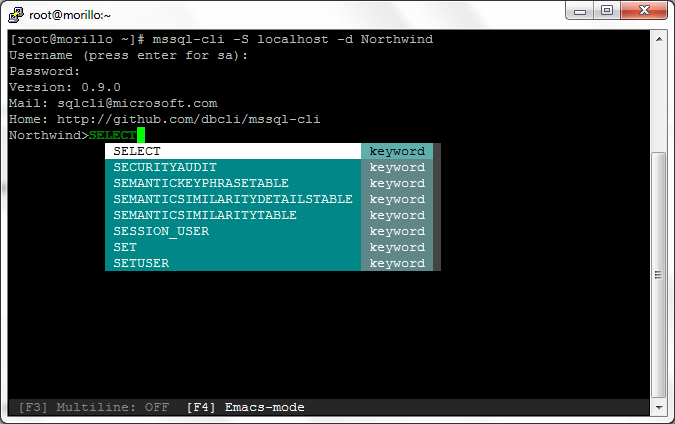 mssql-cli is an interactive Transact-SQL query tool which includes features such as auto-completion and syntax highlighting. On this article we are showing how to install it and how to start using it. 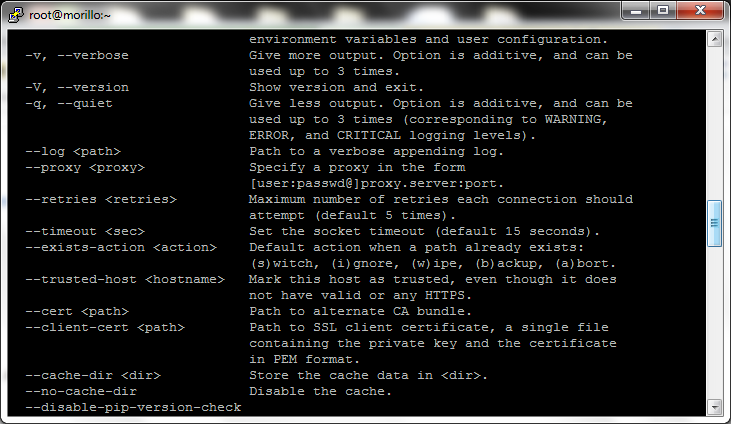 Python is a requirement. Python is already part of Linux as you can see on below image. python -v returned version 2.7.5 was already installed. 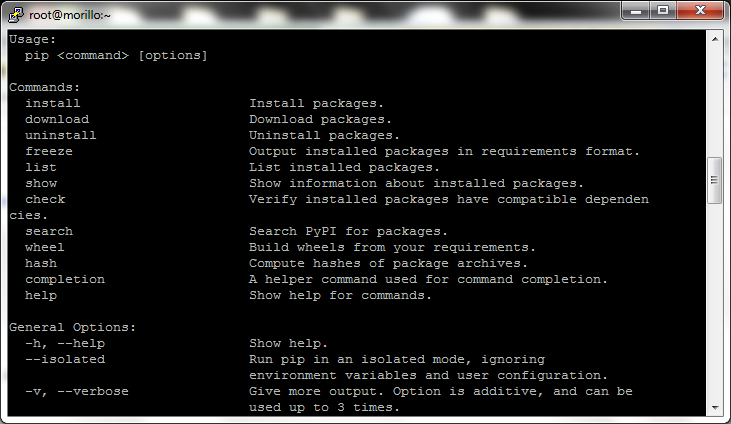 Pip, the package installer, is also a requirement. 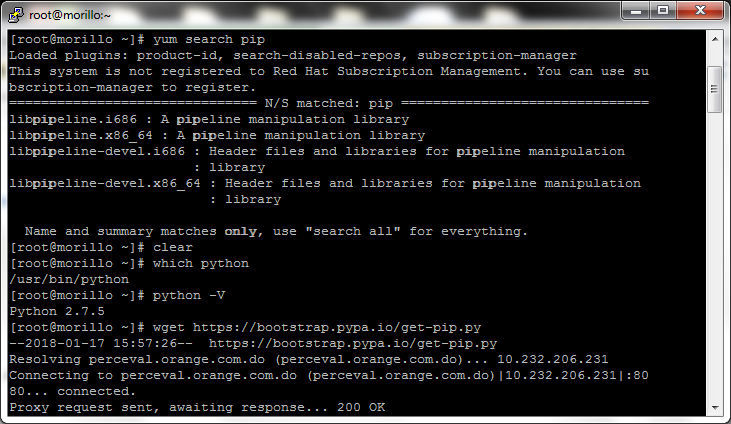 Pip is a tool for installing and managing Python packages and mssql-cli is installed using pip. 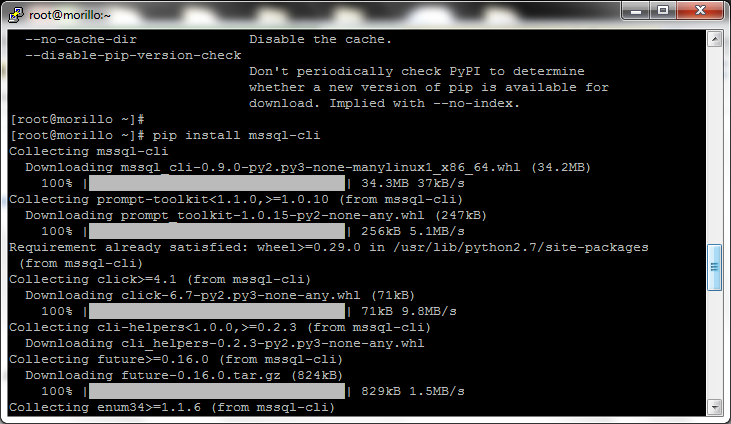 Let's install pip with get-pip.py. 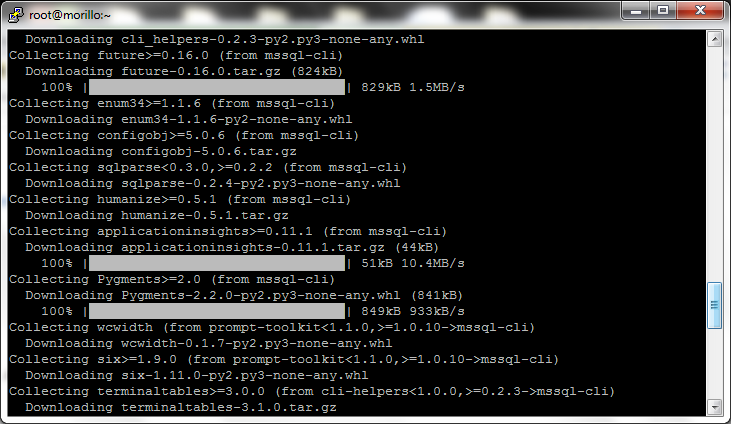 Once pip is installed, we can install mssql-cli as shown on the next image. 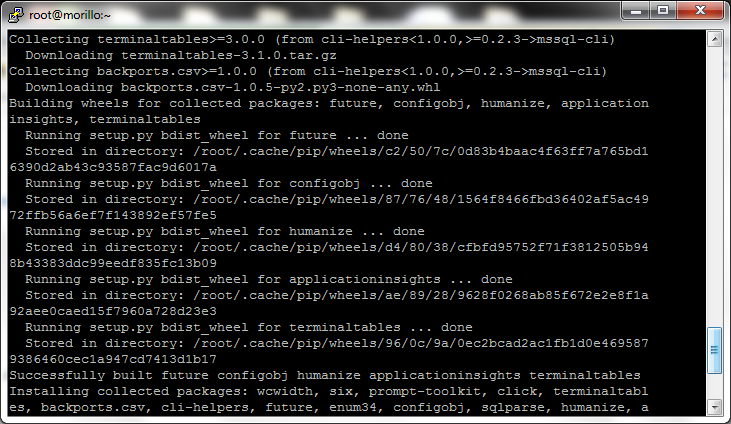 Now, let's install the libunwind library needed by mssql-cli. The library was installed successfully. 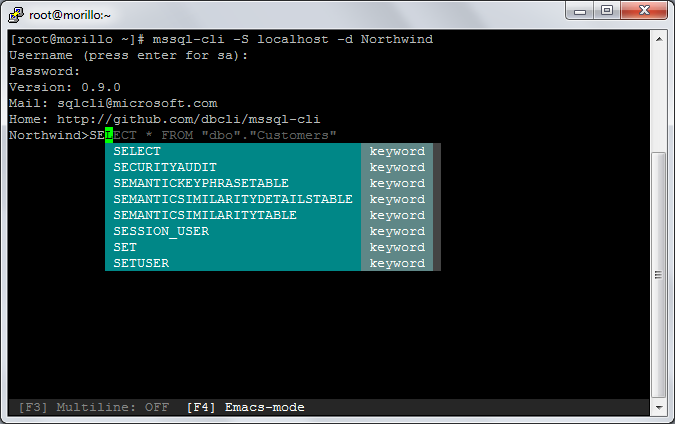 We are now ready to test mssql-cli now. 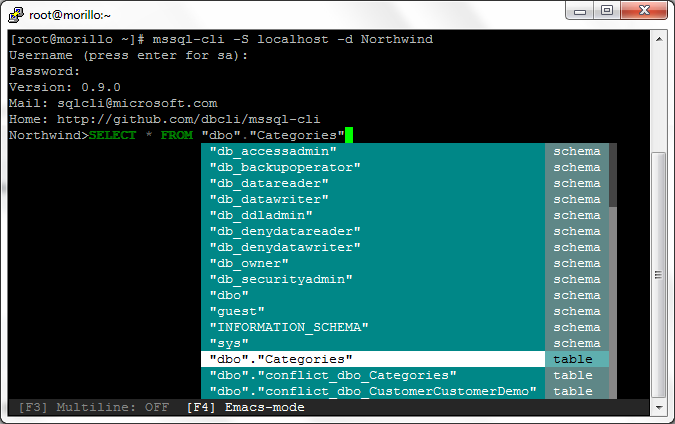 Let's connect to the local database server where we have the Northwind sample database attached. Testing the auto-complete (similar to intellisense) feature provided by the command line tool. Below we are showing the results of the query. 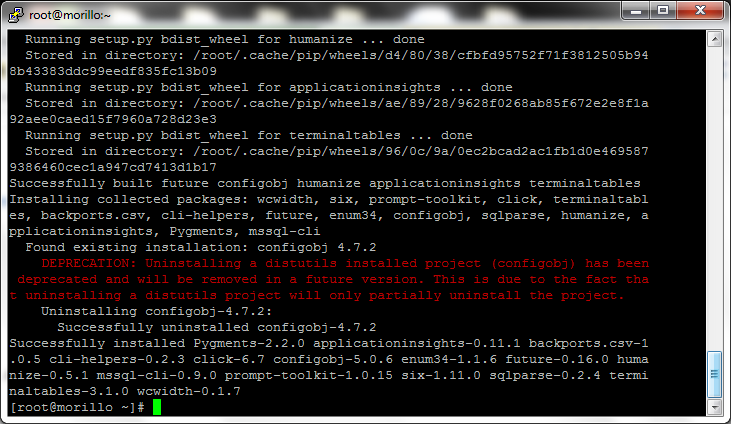 Now let's exit from the tool.